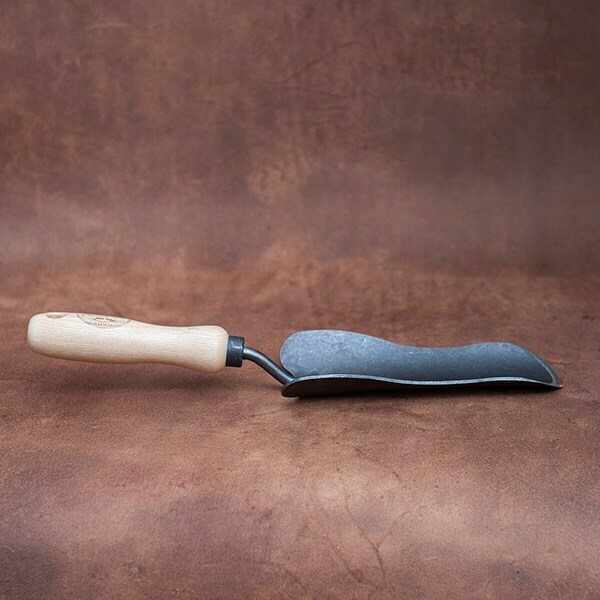 Perfectly shaped for creating round planting holes, this elegant De Wit Victorian trowel combines a sharp rounded edge with a dished scoop for easy digging and moving of soil. Forged from tough carbon steel, the bevelled blade effortlessly penetrates compacted clay soil and slices through unwanted roots to make planting a breeze. Its tapered design makes this trowel particularly useful for transplanting small plants without disturbing their roots. 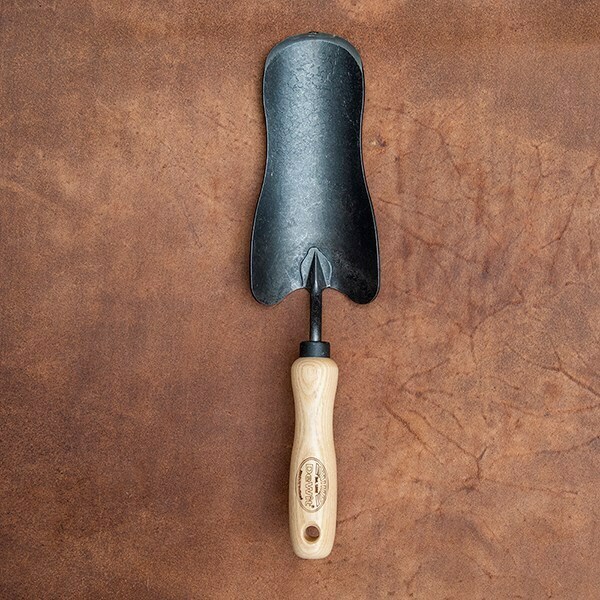 The trowel's head is fitted to an FSC-certified solid ash handle, moulded for comfortable handling and a secure grip.